Dr. Stephen Goei is committed to providing excellence in dentistry, and stands out as a leading oral surgeon in South Pasadena. The doctor uses the latest in dentistry techniques to provide you with a beautiful and healthy smile. Additionally, Dr. Stephen Goei believes strongly in education to prevent oral health problems before they occur, and makes sure to keep patients fully informed about their dental health. Read more about South Pasadena dentist Dr. Stephen Goei below. 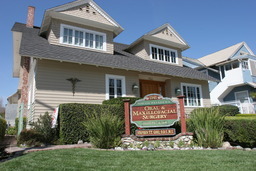 South Pasadena Oral Surgery, with Dr. Stephen Goei, is a leading oral surgeon practice serving South Pasadena, San Marino, Alhambra, and surrounding areas.